Lower Bucks Hospital recently opened the doors to their new Senior Behavioral Health Unit. 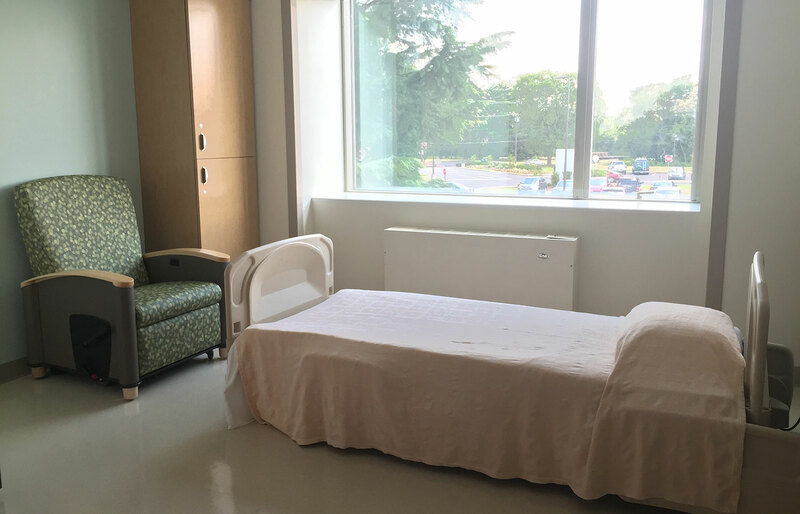 The 18-bed unit features single bedrooms with private bathrooms and patient safety features throughout. With patient safety as a primary concern, CCA utilized the New York State Office of Mental Health's "Patient Safety Standards, Materials and Systems Guidelines" revised in 2014. 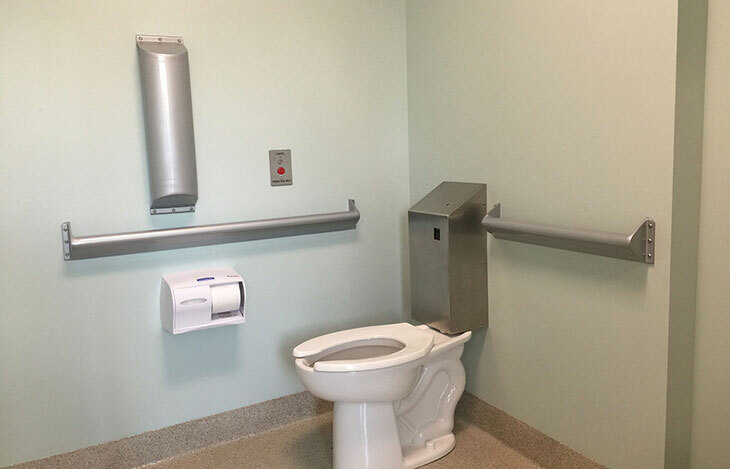 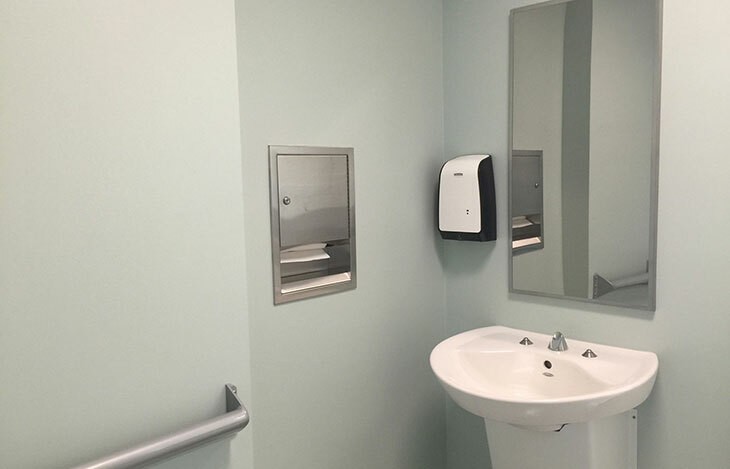 All fixtures, fittings, and equipment found in patient-accessed areas are anti-ligature. 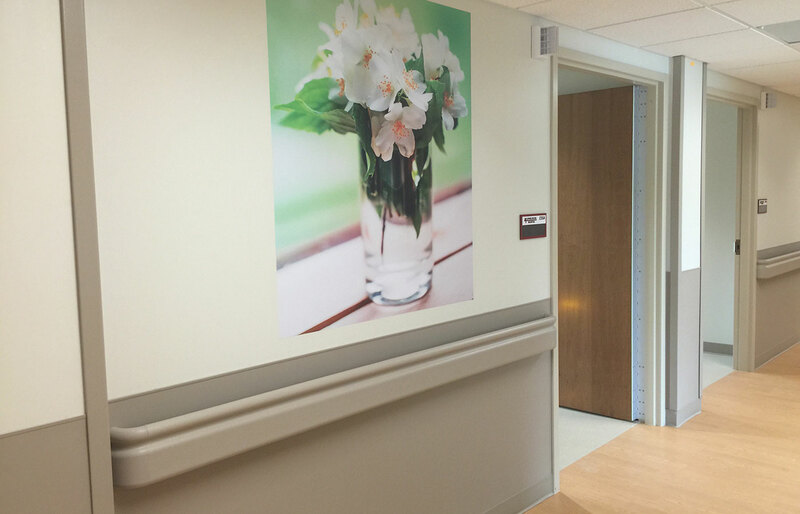 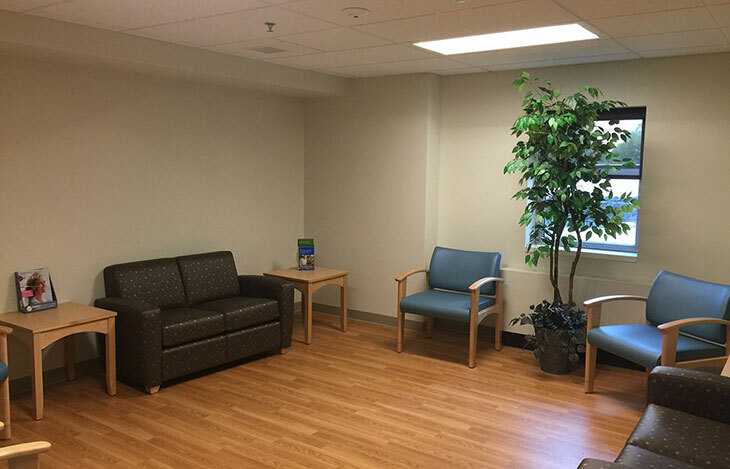 The patient-first focus continues with the material selection and interior design, where warm colors, wood-look flooring, residential-style furniture, and decorative artwork throughout the space creates a more homely and comforting environment than traditional behavioral health units. The project required a complete gutting of two existing wings of Lower Bucks Hospital. 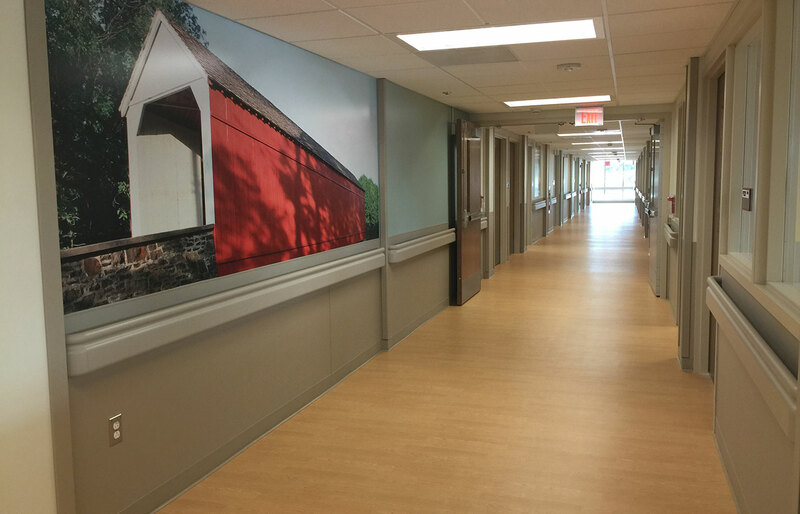 Known as the "A and B Wings", all existing partitions were demolished and the two wings were merged to create the Senior Behavioral Health Unit. 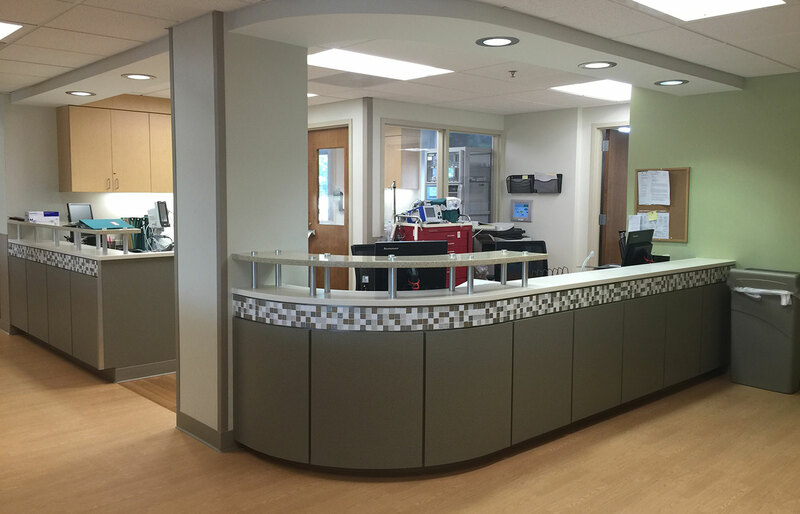 The nurse station is centrally-located at the entrance to the unit, with the combined A and B Wings branching out to either side. 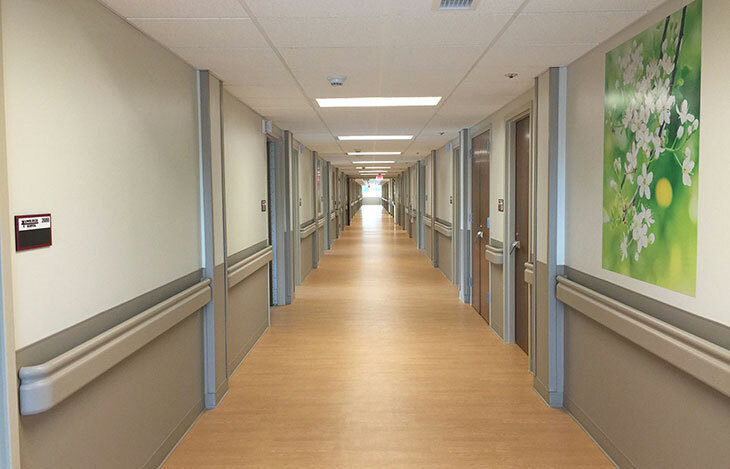 Patient rooms line both sides of the double-loaded corridor, with patient support services located throughout the unit. 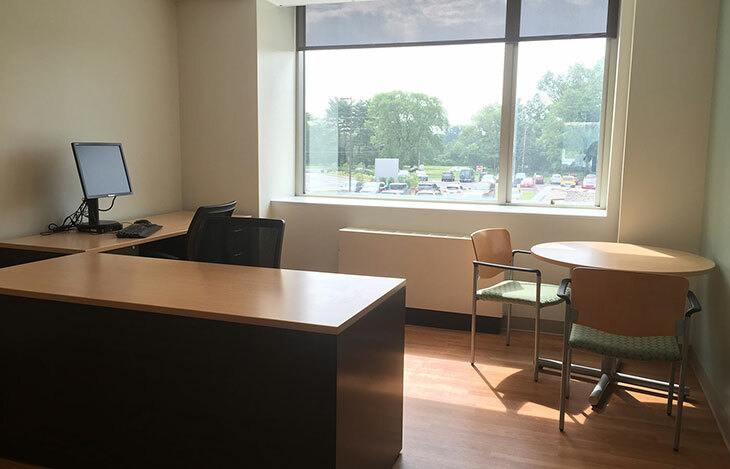 The Senior Behavioral Health Unit serves the local community with psychiatric services, and at the time of construction is the only geriatric behavioral health unit in Lower Bucks County. 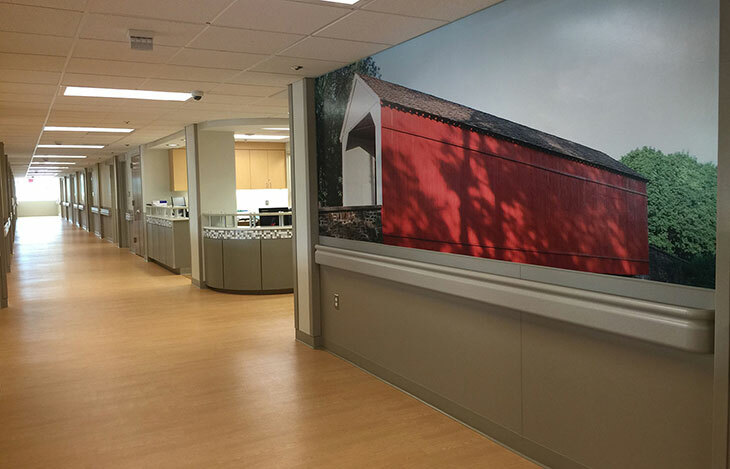 © Charles Cross Architecture, PC. All rights reserved.